On 15 December 2012, the traffic police were conducting their routine random checks on cars at the police outpost on Thadeu road in the vicinity of Watnak village, Sisattanak district, Vientiane Capital. According to the CCTV footage, at 6:00 pm the traffic police stopped the Jeep of Mr Sombath in order to check for driving license and car documents as normal procedures. Being stopped, Mr Sombath walked out from his car to the police to present documents. After the police had checked the documents they returned them to Mr Sombath and continued their duty of checking other cars. Then, a man came on a motorbike parked it near Sombath’s car and rushed to the police outpost direction. 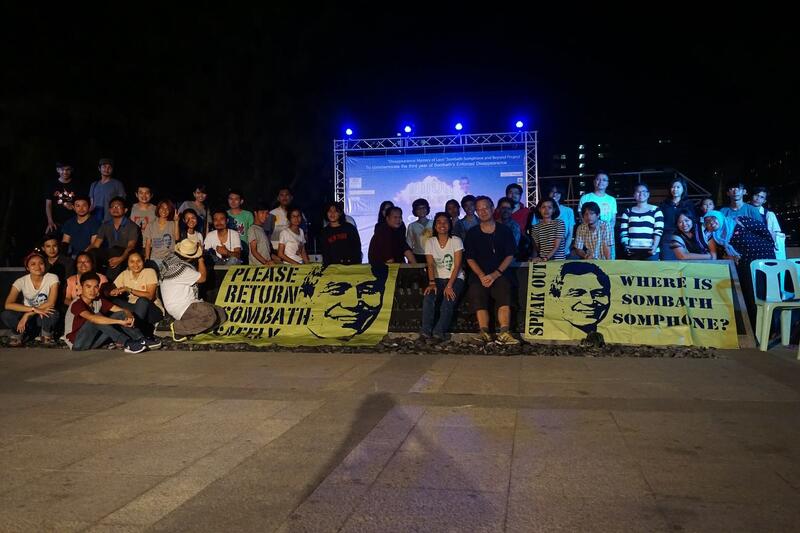 A little while after, a man walked to Sombath’s car and was driving it away slowly, according to statement of the Spokesman of the Ministry of Foreign Affairs on the Missing of Mr. Sombath Somphone, on 19 December. About 10 minutes later, a pickup truck came with hazard lights flashing. The pickup truck stopped near the police outpost. One man entered the pickup truck and shortly after that another person got on and then got off the pickup truck and then got on the vehicle again. There was no sign of these two men being forced while getting on the vehicle and it was not possible to identify who they were. Then the pickup truck went away to an unknown destination. Following the preliminary assessment of the incidence from the CCTV footage, the authorities concerned viewed that, it may be possible Mr. Sombath has been kidnapped perhaps because of a personal conflict or a conflict in business or some other reasons and at this stage the authorities are not in a position to say exactly what has actually happened, why Mr. Sombath has gone missing and who have been involved in the incidence. In this connection, the authorities concerned are currently and seriously investigating the incidence in order to find out the truth and whereabouts of Mr Sombath. Next PostNext Where is Sombath?